LA is the land of a million cute places to eat. 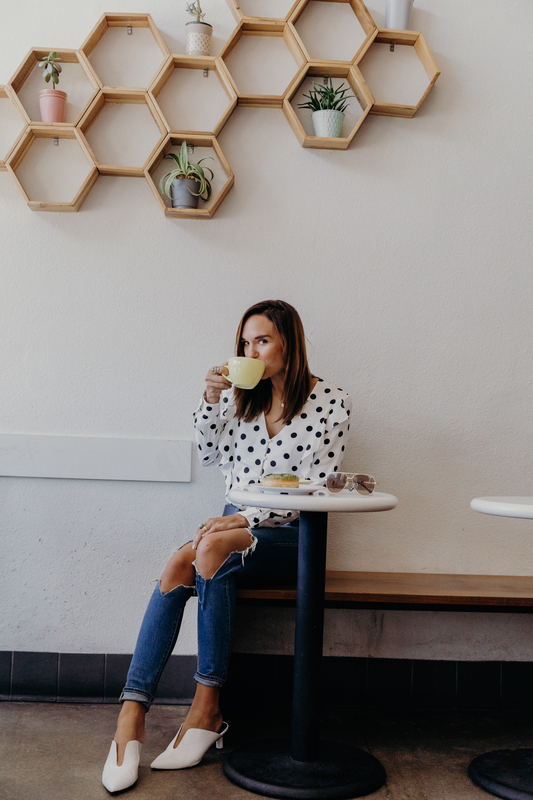 Whether you’re looking to do breakfast, brunch, lunch, dinner, coffee or any meal in between, you’re probably no more than a mile from an amazing coffee shop or restaurant. I have a few places I keep on rotation both for me, but also spots I like to take the kids. If I had to choose, these are probably my top five. Sqirl Sqirl always has something new on their menu and uses the freshest ingredients. It’s also great if you have any food sensitivities or allergies because of its vegetarian, gluten free and vegan options. Their whole menu is delicious, but the baked goods are all to die for. Kitchen Mouse This is a Highland Park favorite for the kids. They have a closed-in play area that makes it really easy to entertain them while I get in a bite to eat. Their menu is also great for restricted eaters as it’s all vegan and vegetarian. The TLT is a favorite on the menu—tempeh, lettuce and tomato, but they also have plenty of kids options. LaMill LaMill is all about the coffee. When I need a serious wake up call, this is where I head. My go-to order is their omelette with goat cheese, but as long as you’re a coffee lover, you really can’t go wring with anything on their menu. Winsome Winsome is like the modern, cool version of the 1950s diner. It has a counter with stool seating, and an open layout so you can see the kitchen. Its menu is delicious comfort food all the way. If you’re looking for a good brunch spot, this is it. 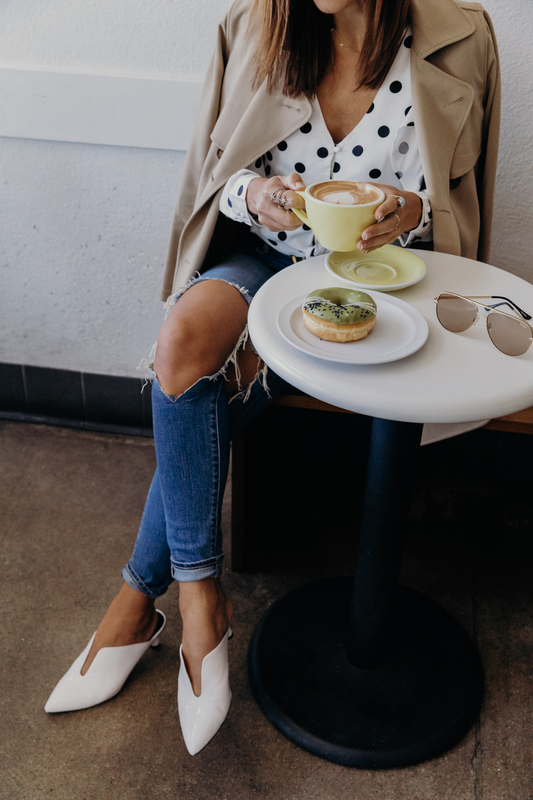 And of course, don’t forget your perfect-for-spring trench and a cute polka dot top to run around to all these places with friends or family. Which is your favorite? Comment below!